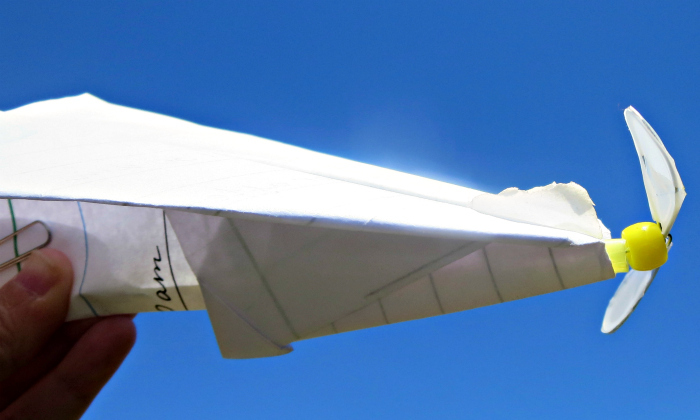 Do your kids enjoy building paper airplanes? Then they may be interested to try and build a paper plane with a working propeller. A few weeks ago my 9 year old and I have restarted our Mother-Daughter book club. 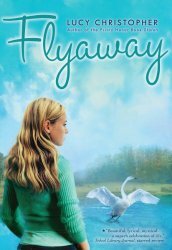 Smarty looked through the list of books available on this site and chose Flyaway by British author Lucy Christopher. In the book, kids explore flying machines by Leonardo da Vinci in an art class, and they also get an assignment to build a flying machine. The main character of the book comes up with a very unusual project, but we were going to go with building different types of paper airplanes and exploring what affects their performance in the air. Why do flying machines fly? 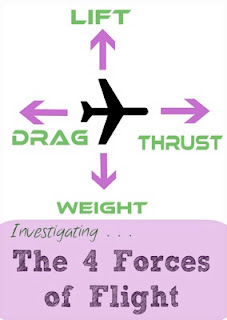 Navigating by Joy has a great post with experiments for kids explaining 4 forces behind the science of flying. Smarty also had an opportunity to learn more about both science and history of flying during the recent visit to our local Hiller Museum of Aviation History. 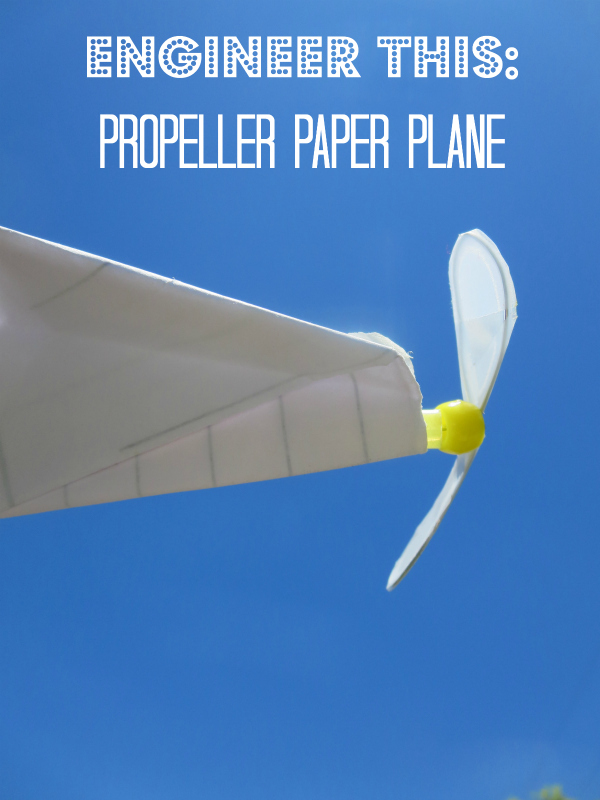 Can You Make a Paper Plane with a Propeller? Our project switched to propeller planes after my husband and I brainstormed ideas for an upcoming picnic for our local gifted organization. I suggested a paper plane contest as an activity, and my husband thought that it's not challenging enough. 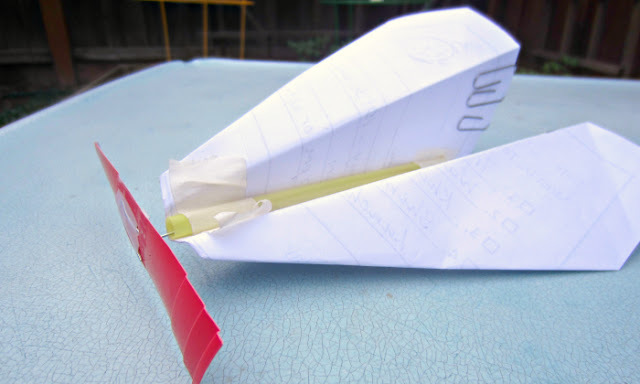 He thought that it would be more fun not just to build a paper plane but to make a paper plane with a propeller. Being an engineer, he immediately started tinkering to try out this idea. Making a propeller is super easy. 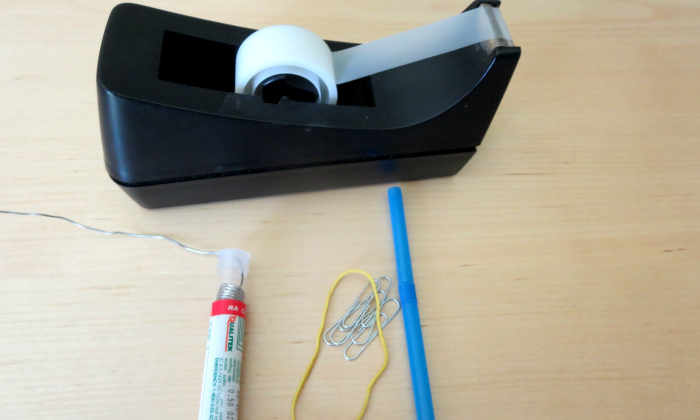 Basically you insert a rubber band into a loop of a paper clip and thread it with a wire through a straw. Then you clip it with another paper clip on the opposite side of the straw and bend a paper clip, so it has a sharp tip for a propeller itself. We tried two types of propellers - one cut out of a plastic paper cup and another made out of flexible wire and Scotch tape. Then you attach your propeller to the middle of your plane and you are ready to fly your plane. A propeller made out of plastic cup was too big and the plane kept falling on its nose. Even balancing the back with paper clips did not add much with stability. And falling on its nose over and over again destroyed plastic straw pretty quckly. We did not give up on a propeller-powered paper airplane but we had an unusually rainy weather lately and not a lot of time to continue tinkering with different propeller sizes. Perhaps it is a great project for a gifted group picnic - perhaps one of the more mechanically inclined kiddos will make it work. What are your kids engineering right now? 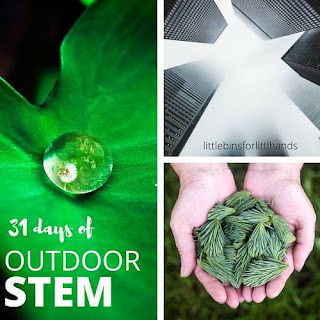 I joined in with my STEAM blogging friends for a fun series this month: 31 Days of Outdoor STEM. Hop on over to Little Bins for Little Hands to see all of the other activities. They are building lots of LEGO stuff, we haven't really been engineering much stuff recently. I need to come up with another round of good engineering challenges this year. I'm trying to remember if we've attempted this before...maybe time to revisit it, anyway - it looks like fun.